In its 24th year, the connect mobile network test is still considered as the ­highest benchmark in the mobile communications industry. Together with our well-renowned benchmarking partner P3 communications, we have once again investigated which mobile operators in Germany, Austria and Switzerland are ahead – with the utmost effort and our customer-oriented testing methodology. The procedure is reminiscent of exciting elections: After extensive preparations and intricate investigations, the candidates face their moment of truth. 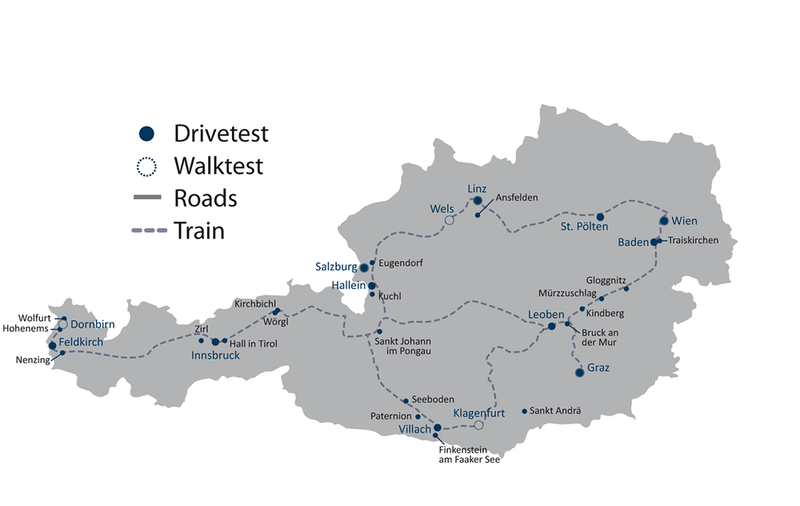 Going to the ballot box corresponds to the drivetests and walktests that the network benchmarking specialist P3 communications has conducted in Germany, Austria and Switzerland. Election campaigns and demoscopic surveys have their equivalents within the intensive preparations and the precise gathering of measurement values over the course of several weeks here. At the end of the process, the P3 experts thoroughly check and evaluate all measurement values, while the network operators tensely anticipate the results – much like politicians wait for the outcome of the elections. In our case as well, the candidates vigorously speculate about their performances until the analyses are complete. Only at the very end, all facts are on hand. In the next step, not all of the participants are exactly happy about the results. But everyone has to live with the consequences. While in politics, the negotiations about forming a government start, the mobile network operators are concerned about the meaning of their test results for their ongoing network upgrades and not least for their marketing activities. But there are also some distinct differences between our network tests and the course of democracy: Opinion polls are completely irrelevant for our assessments, and the process leading to the final result is considerably more complicated than just ticking boxes on a list. After all, we permanently enhance our methodology and framework in order to ensure the validity of our test results. So how do we consistently challenge the relevance of our criteria and evaluations? It begins with staying up-to-date, and representing state-of-the-art-technology. You can read the conclusions that we drew from these considerations in the chapter "Methodology" (link below). Also, you can find an outlook to our plans about even extending the scope of our quality assessments in the near future in the chapter "Operational Excellence" (link below). But now, let‘s make way for the analyses, trends and results of this year‘s mobile network test. One or two aspects may look familiar to frequent readers. But we can also guarantee a number of surprises on the following pages.